Dream Doctor Amnon Raviv’s Book Published! Home Page > Media > Dream Doctor Amnon Raviv’s Book Published! We are absolutely thrilled to announce to the publication of Dream Doctor Amnon Raviv’s book “Medical Clowning: The Healing Performance”! 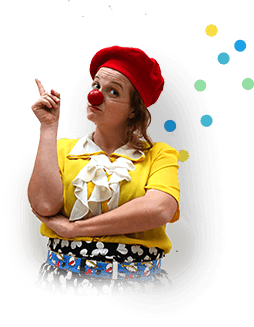 “Professor Doctor” Raviv, the first practitioner in the world to be awarded a PhD in Medical Clowning, takes readers on an incredible journey through his history with the Dream Doctors Project and into the mind of the medical clown. 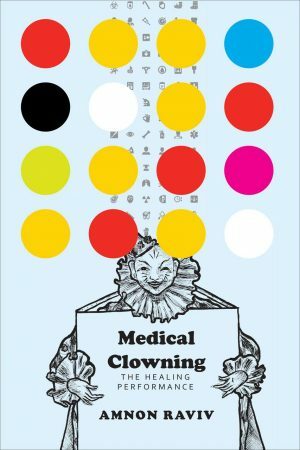 He shares results of many of the research studies that have been conducted on medical clowning and practical tips on how to incorporate medical clowning into the healthcare system. Amnon also shares many personal stories of his own and of his colleagues (medical clowns, doctors and nurses) and offers an in-depth explanation of how medical clowning works here in Israel and why it has been so effective with a broad spectrum of patients, from newborns to the elderly, and from patients in treatment for medical conditions such as cancer to those dealing with the trauma of war.